Garage management software (GMS) for MOT Test and servicesis one of our major 4D products which is being used successfully by many clients in London, Crawley, Horley, Redhill, Sussex, Surrey and other parts in the United Kingdom. This software makes it easy for the MOT car garage management software to manage their business online with just one piece of web based software. It turns your website traffic into real bookings software and manages every aspect of your business. This Car garage manager software does not need installation and can easily be plugged in to your existing or new website. It allows you to access the garage booking diary from any computer with an internet connection. The online MOT booking system is available 24/7 to your customers when your competitors are closed for business. In this digital era, our commercial vehicle workshop software provides a new way of doing business and helps to generate more revenue. This reduces the time you spend to book new jobs over phone or generating paper based invoices or jobcards. It is a complete software to manage the auto repair & MOT service information. 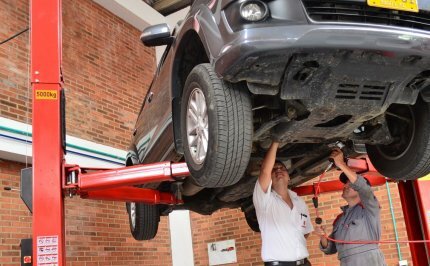 Instant configuration of offer packages for the services such as MOT tests, full services, seasonal checks and more. Customers can choose a MOT centre from any location, in case that you have lots of online shopping cart and payment integration. Customers get email confirmation for their bookings and cancellations through SMS and (or) email. Customers can setup yearly MOT reminders with you. You can manage your customers feedback easily, thus it enables you to act fast and build strong relationship with the end-users. Effective customer database creation and maintenance. Easy invoice & job card generationfacility with the availability of customer email option. Multiple reports to know about the business performance and much more ..
For further information about this garage software / To Book a FREE Demo Get in touch with us..